Preflop aggression is pretty much the norm nowadays, and fighting back against loose preflop raisers is a must if one intends to stop rewarding loose cannons for their erratic behavior. The light three-bet offers a great way to tackle this problem. What exactly is the light-three bet? The light three-bet is basically a preflop re-raise, made with a hand probably worse than that of the initial raiser, meant to put him off his game and derail his plans. The light three-bet has several additional benefits, among which the most important is the one regarding the balancing of the light three-bettor’s range. By balancing your range, you’ll basically be able to ‘milk’ good hands that you’ll pick up in the future to their full worth. As every more or less subtle poker strategy move, the light three-bet can be a tricky one, thus when and where one employs this weapon is of paramount importance concerning its efficiency. The targets of light three-bets are obviously players who raise preflop too often and who are likely to make these raises with rags. Light three-betting is obviously done from position or from one of the blinds. The aim of the three-bet is a simple one: by showing strength, the light three-bettor forces the open-raiser to fold a lot of his marginal hands, thus extracting value. As said above, light three-betting will also balance one’s range nicely. The best way to understand a light three-bet and to make it work is to consider it a semi-bluff. The hand on which the light three-bet is made may not have the best equity, but it does have fold equity and it may improve radically on later streets. What is that if not the very definition of a semi-bluff? The great thing about the light three-bet is that there are so many targets out there for it. Being more aggressive is one of the first steps every poker player learns, so all those beginners will be out there, open-raising way too often and just inviting those more skilled to take advantage of them. Identifying such players isn’t particularly challenging either. Before we stop just short of declaring the light three-bet God’s gift for the downtrodden, let’s consider a question which is by now probably on every beginner’s mind: what happens when the light three-bet is called? This is where the trickiness of the move lies: those unable to properly harness the power of the three-bet and handle such situations will soon see the move go from a perceived asset to a very real liability. Surprisingly, the answer is NOT to fire another bullet and then several more on later streets. That will only see the player experimenting with the light three-bet stuff yet more chips into the pot, letting the hand run completely out of control. 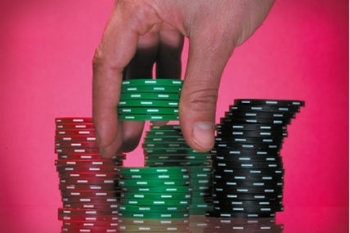 The best way to keep the light three-bet in check is to only employ it on hands highly likely to improve on the flop, or more than decent ones. The way to deal with the dilemma is the usual one: stay away from weak aces and those alluring high-cards: by doing that, you will make the post-flop decision a much simpler one for yourself. Again, the best way to explain what you need to do is to whip out the semi-bluff analogy: for healthy light three-betting one needs a hand which actually stands a chance to become the best hand after the flop. Check out pokerprops.rakemeback.com for the best poker prop deals out there.